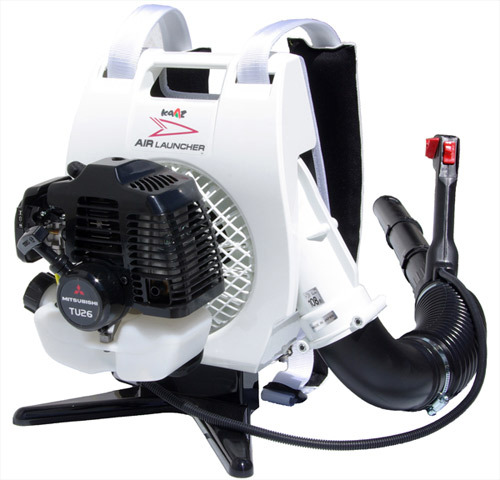 The Kaaz professional knapsack blowers are built for durability and power. Having the engine mounted on the back enormously reduces the hand/arm vibration making it comfortable to use over long periods. 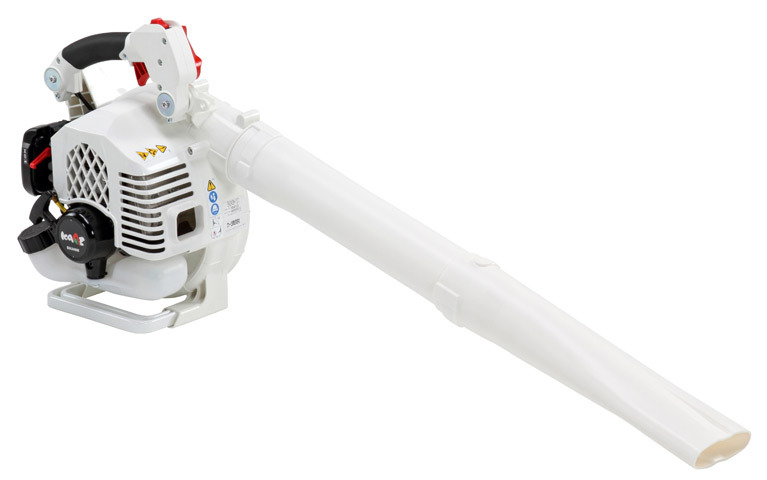 This hand held blower is easy to use with its ergonomic handle and throttle lock. The 3D fan technology and flat nozzle makes it powerful enough to tackle most clearing jobs. The BZ450 Air Launcher uses a 3D fan system to create greater air speed and volume therefore a smaller 26cc engine gives the power expected from a much larger machine. The BZ450 is fitted with the proven Mitsubishi TLE27 engine, is slimline, lightweight and stylish. The Air Launcher uses a smaller engine than most backpack blowers therefore the emissions are lower as is the weight of the machine.